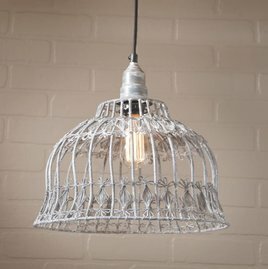 Flower Industrial Cage Pendant brings a more cottage & English Country feel to your home. It's a more feminine version in today's popular cage light trend. This pendant would be beautiful in a little girl's room or in a cottage or beach home.